The way POP3 works is once it’s setup on an e-mail client (Windows Mail, Microsoft Outlook, Mozilla Thunderbird, etc. ), POP3 proceeds to download e-mails from the server to the client providing users with a local copy of their e-mails. Generally POP3 defaults to deleting the downloaded e-mails from the server after the e-mails are downloaded however, most e-mail clients will allow users to customize when the e-mails are deleted or if they’re deleted at all. POP3 was mainly popular during the 1990’s and early 2000’s when most people used dial-up connections and primarily had just one computer. By using POP3 to download e-mails from the server to read locally, users could connect to the internet wherever/whenever it was available, download their e-mails, then still access the e-mails offline. However, as it became popular to have multiple computers, smartphones, tablets, and other devices capable of checking e-mail, POP3’s limitations were quickly exposed. As e-mails are downloaded to a local client, e-mails across devices were not synced. This resulted in duplicate e-mails, accidentally deleted e-mails, not knowing which e-mails were read and other issues. As such, these days POP3 should only be used as a last resort or for those with only one device and have limited or intermittent access to the internet. IMAP, or Internet Messaging Access Protocol, is probably the most popular of the e-mail protocols today. The way IMAP works is once the e-mail client is setup to use IMAP, IMAP will sync e-mails between the e-mail server and your client device such as a desktop, laptop, smartphone, etc. Generally speaking, most e-mail clients will initially only download the e-mail headers rather than the entire e-mail until the e-mail is read. Although IMAP is a relatively old e-mail protocol, it has become quite popular lately thanks to the explosion of mobile and other electronic devices that are constantly connected to the internet. Using IMAP ensures that all devices are synced to the server, so you don’t run into issues typically seen in POP3 where deleted e-mails on one client isn’t reflected on another. Microsoft Exchange or ActiveSync, is a protocol developed by Microsoft for syncing everything from e-mails to calendars to contacts and more. Microsoft Exchange is most popular for corporate e-mails or for Microsoft’s own Outlook/Live free e-mail service. 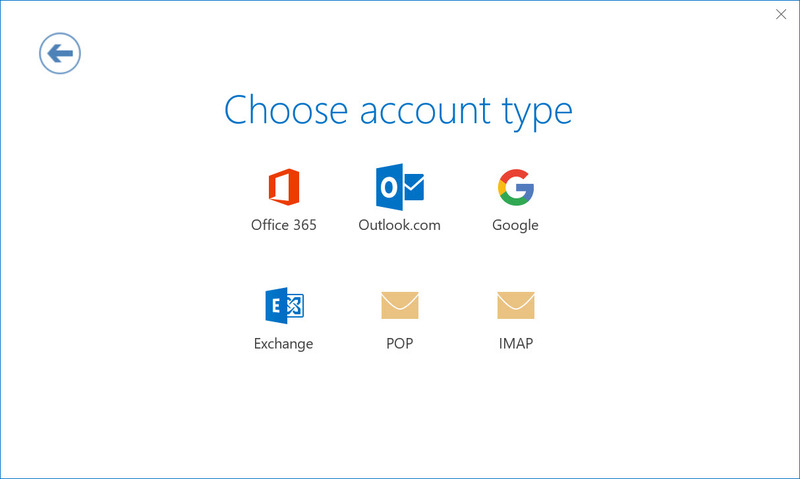 Once setup on an e-mail client, Microsoft Exchange works a lot like IMAP in that all e-mail is stored on the exchange e-mail server rather than on any individual client.